Bodies of all nine killed in violent snowstorm retrieved - Integration Through Media ....! MYAGDI: All the nine people gone missing from the base camp of Mount Gurja of Dhawalagiri rural municipality-1 in Myagdi following a violent snowstorm have been confirmed dead. The bodies were retrieved this morning. 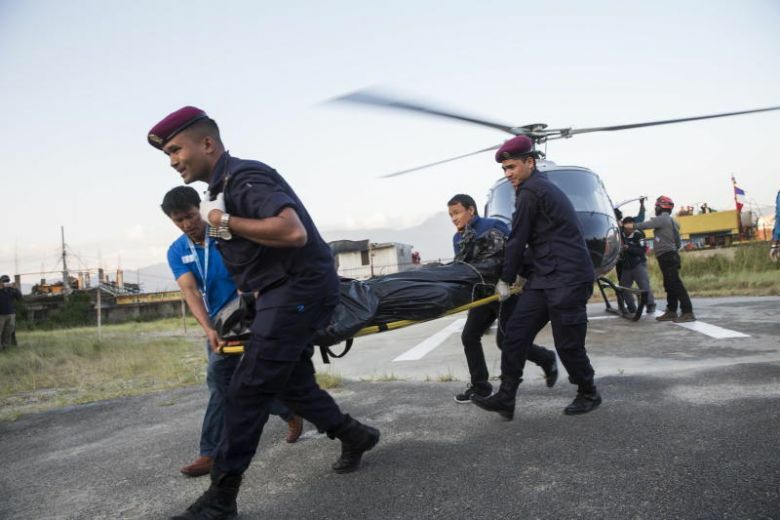 A team of security personnel and rescuers who landed at the base camp via a helicopter collected the nine bodies from the ravine. Until filing of this report, processes were underway to send one body to Gurja and remaining eight to the central capital Kathmandu, Deputy Superintendent of Police, Bir Bahadur Budha Magar said. According to the police, the deceased have been identified as Kim Chang-ho, Rim Il-jin, Lee Jaehun, Yoo Youngjik, and Jeong Joon-mo. They are from South Korea. Netra Bahadur Chhantyal, 29, from Gurja of Dhawalagiri rural municipality-1, Chhiring Bhote, 39, from Hatiya of Sankhuwasaba, Lakpa Sangbu Bhote, 21, from Bhotekhola rural municipality-1 from the same district and Phurba Bhote said to be from Solukhumbu district were also killed in the snowstorm, the police added. The expedition team had faced the disaster on October 10. As the team reached the base camp went out of contact, the people from Gurja headed toward the base camp on Friday. The news of the tragedy came only a day later- Saturday morning, said ward chairman Jhak Bahadur Chhantyal. The expedition that acquired a 60-day route permit from the Department of Tourism had planned to scale the mountain from its southern face.